Another AMAZING giveaway from Cost Plus World Market!! Are you ready for vacation?? 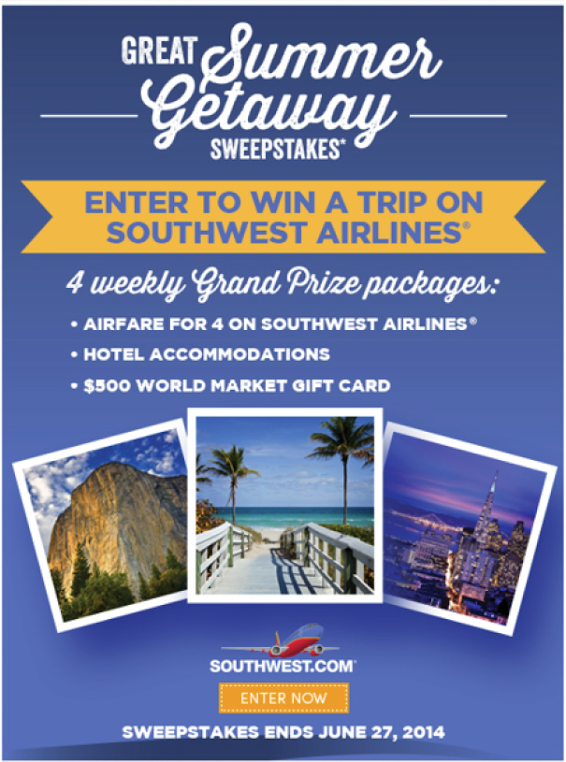 Enter #costplusworldmarket Great Summer Getaway #Sweepstakes for your chance to win a trip for four on Southwest Airlines! Weekly winners will get airfare and hotel for 4, PLUS a $500 World Market gift card!! Sweepstakes ends 6/27/14. Good luck!